Managed SD-WAN solutions are growing rapidly, but not all vendors are created equal. Some vendors offer cloud, but don’t own the network. Other service providers offer managed WANs, and yet others offer professional management. How do you differentiate between the options and pick the right managed SD-WAN for your organization? 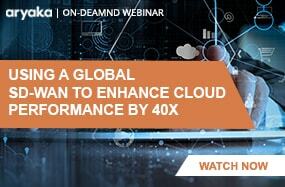 Let Aryaka’s Founder & CTO, Ashwath Nagaraj, guide you through your options in this webinar. As enterprises connect to more cloud and SaaS services across diverse locations, they become increasingly more vulnerable to security breaches as their attack surface expands. 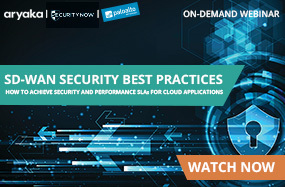 Join Mouli Radhakrishnan, Vice President of Product Management at Aryaka and Amit Raikar, Senior Director of Business Development at Zscaler to learn how enterprises can improve application performance and protect mission-critical data by combining cloud security with a global connectivity solution. 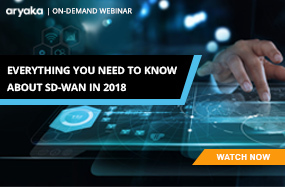 This webinar explores SD-WAN architectures in depth and the best practices and essentials for delivering multi-layered, defense in depth security through your global enterprise WAN, while also enhancing application performance required to improve productivity at the speed of today’s business environment. As enterprises in EMEA embrace digital transformation through cloud, UCaaS, mobility and IoT initiatives, the network becomes critical to ensure employees, customers, and partners have access to mission-critical applications anywhere in the world. However, MPLS remains a barrier in achieving these objectives and not all SD-WANs can cater to global application delivery requirements. Also, as May 25th marks the biggest overhaul in data protection law in over 20 years, IT leaders are assessing their WAN readiness for GDPR compliance. 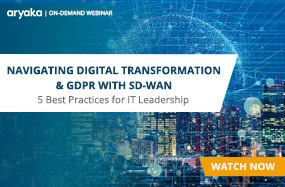 Join our exclusive webinar to learn best practices in working with the right SD-WAN partner to support Digital Transformation and GDPR compliance initiatives. MPLS and SD-WAN: Friend or Foe? The Increasing demand for cloud applications and global expansion have enterprises and service providers worldwide rethinking how wide-area networking services should be deployed. This webinar will take a look at how new trends in digital transformation and the movement to the cloud have changed the way global enterprises conduct business, and how the emergence of SD-WAN can be used to augment or replace existing MPLS services for faster application performance. 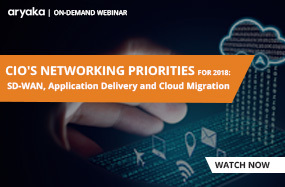 Join Clifford Grossner, Ph.D., Senior Research Director & Advisor, Cloud & Data Center Research Practice at IHS Markit, and Gary Sevounts, Chief Marketing Officer at Aryaka for this exclusive on-demand webinar. They will explore SD-WAN architectures in depth, how they meet the varied requirements of global enterprises, along with the best practices and recommendations for SD-WAN implementation for regional and worldwide deployments. According to CIO.com, 88% of IT leaders see the CIO role becoming more digital- and innovation-focused. This phenomenon is changing the CIO's priorities for global IT infrastructure, networking, and application delivery. Hear from Vishal Kayship, VP of Engineering at Aryaka, on what CIOs need to consider for global networking and application delivery in 2018, and why they need to look at SD-WANs. In today's cloud-centric world, global enterprises are considering SD-WAN solutions that offer reliable connectivity, fast application performance, and best-in-class security, without adding network complexity and extra costs. 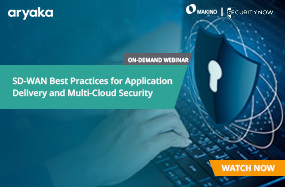 This webinar will show you how global businesses can benefit from a global SD-WAN combined with cloud-based security to improve application performance and protect mission-critical data. Office 365 has seen one of the highest adoption rates with millions of business users worldwide. While it a wide range of mission-critical business activities, application performance comes with a set of challenges for end-users distributed around the world. Dr. J. Stan Yarbrough, Ph.D., will cover the best practices in providing a quality application performance and end-user experience to increase productivity and further adoption. While Microsoft Office 365 supports a wide range of mission-critical business activities, application performance can be challenging when trying to access over the Internet. 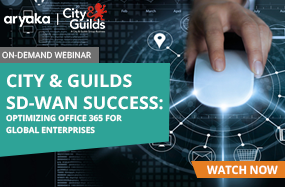 Alan Crawford, CIO of City & Guilds, will explained what he learned connecting employees in Wellington, New Zealand to their Office365 cloud hosted in the UK, and why a global SD-WAN became the answer to their application performance problems. If SD-WAN has not come up in conversation with your IT and business leadership, it’s very likely it will in 2018. With so many vendors out there claiming to be SD-WAN, it’s hard to determine which solution is right for your business. 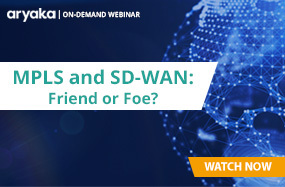 This webinar covers what global enterprises must consider when looking at SD-WAN for their business, and which solutions deliver more reliable connectivity and better performance for cloud and on-premises applications to branch offices and remote/mobile employees anywhere in the world. As companies migrate their applications and data to the cloud, MPLS has become an insufficient method for delivery. So how does an enterprise maintain a high level of performance? 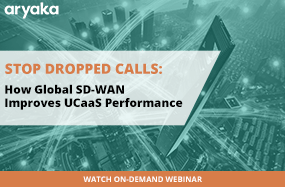 This webinar covers how SD-WAN can be used as an MPLS alternative to deliver faster application performance for business end-users worldwide. 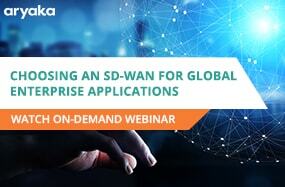 This webinar covers what global enterprises must consider when looking at an SD-WAN solution for their business. 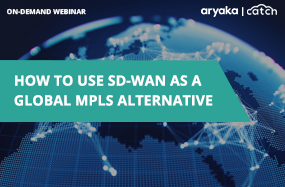 You will learn how replacing MPLS with a global SD-WAN can deliver more reliable connectivity and significantly better performance for cloud and on-premises applications to branch offices and remote/mobile employees anywhere in the world. If SD-WAN has not come up in conversation with your IT department, chances are it will very soon. But, with so many vendors out there claiming to be SD-WAN, it’s hard to determine which solution is right for your business. Dave Nuti covers what key trends have recently impacted the enterprise WAN and what must be considered when evaluating SD-WAN architectures to improve application delivery. Digital transformation is reshaping how global enterprises conduct business at a significant rate. The remote and mobile workforce is increasing rapidly. Mission-critical applications, such as Office 365, voice and video, and ERP systems are moving to the cloud. On top of that, businesses continue to expand globally. 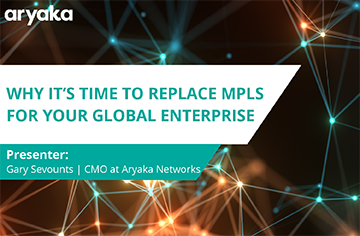 Join Paul Boniface, Principal Solutions Architect EMEA at Aryaka to learn how a global SD-WAN can deliver any application, such as Office 365, to end users around the world with 40x faster performance. As enterprises embrace digital transformation through cloud, UCaaS, mobility and IoT initiatives, the network becomes critical to ensure employees, customers, and partners have access to mission-critical applications anywhere in the world. However, MPLS remains a barrier in achieving these objectives, and not all SD-WANs can cater to global application delivery requirements. 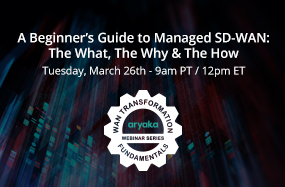 Learn the best practices in working with the right SD-WAN partner to support digital transformation initiatives with Nikhil Batra, IDC analyst, Lucas Goh, IT Director, Infrastructure and Operations at Volex, and Shehzad Karkhanawala, Director of Marketing at Aryaka. While the cloud has enabled many enterprises to access their mission-critical resources from almost anywhere, current network infrastructure has negatively impacted the application performance, thus increasing the amount of support tickets for IT. Gary Blevins, Sr. Network Engineer at Platform Specialty Products Corporation, and Dave Nuti, Vice President of Business Development at Aryaka cover how cloud and SaaS applications have changed the enterprise WAN and the modern solutions available to improve their performance and reduce IT Support tickets. Cloud-hosted voice and video have dramatically changed modern business collaboration and communication on a global scale, but without the right network infrastructure, application performance suffers and enterprises face significant challenges. Network analyst, Zeus Kerravala, and principal strategic architect, Jig Ruparel, look over the SD-WAN solutions available for improving performance to hosted voice and video applications worldwide. For two decades, MPLS was the industry standard for enterprise connectivity. However, companies are starting to embrace new methods of connectivity as applications and data move to the cloud. 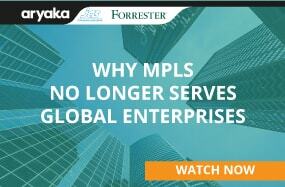 Andre Kindness, Principal Analyst from Forrester Research, and Mark Baker, CIO of JAS Worldwide, explain why businesses need to replace MPLS today and the alternatives that deliver faster application performance from anywhere in the world. 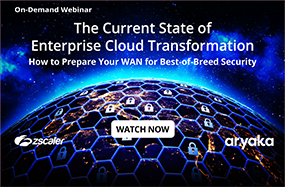 If you’re surveying the WAN landscape and wondering how to future-proof your enterprise while improving your current connectivity, then this webinar is for you. 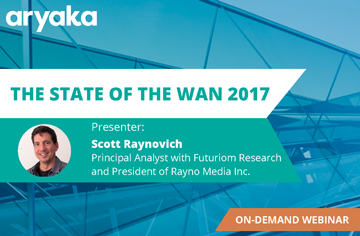 Scott Raynovich of Futuriom Research will lead a discussion around the future of the WAN, and how you can prepare your enterprise today. The enterprise migration to cloud services and SaaS applications demands a change in WAN architectures. As MPLS networks fail to address global application performance needs of cloud-reliant businesses, IT organizations are evaluating alternative approaches and SD-WAN solutions. 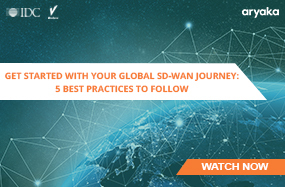 Watch this webinar to learn about the best practices to deploy a global SD-WAN to improve application performance while reducing IT costs and complexity. Nearly 50% of enterprise WAN traffic is generated by cloud and SaaS applications, yet major telcos and their MPLS links cannot address the performance requirements for today’s enterprise. 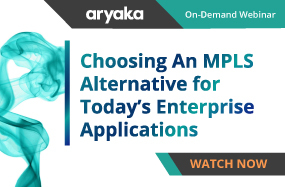 In this webinar, you’ll learn about the MPLS alternatives that deliver faster application performance for business end-users worldwide. 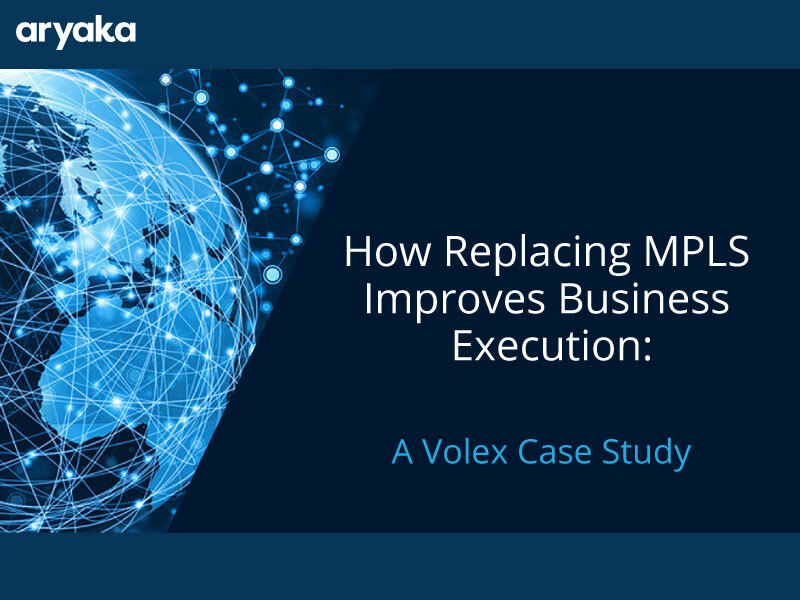 Hear how leading audio manufacturer, Skullcandy, replaced their MPLS to improve ERP systems for their worldwide locations. In 2016, traffic over the enterprise WAN grew by 200%. This growth in traffic plays a major impact on the performance of mission-critical applications in cloud/SaaS environments. Watch this exclusive webinar covering findings from the 2017 State of the WAN report, and where we actionable insights on data aggregated from over 5000 sites across 63 countries. The enterprise migration to cloud and SaaS applications has exposed many of the limitations of MPLS connectivity for global enterprises, especially the challenges of delivering mission-critical applications to end users world wide. Watch this webinar to learn about the alternatives for global connectivity that address today’s business needs. The move to cloud has exposed some of the limitations to MPLS networking services, especially with global enterprises who face challenges delivering mission-critical applications to worldwide users. Learn about the best practices for delivering fast and reliable application performance by replacing MPLS connections with a global SD-WAN. MPLS has been used to connect international offices for almost 20 years, but it is not built for the mission-critical applications used by today’s global enterprise. Learn how cloud and SaaS apps have changed network traffic patterns, and why MPLS is not designed for today’s connectivity needs. We will also cover available solutions that provide the performance, consistency, and agility needed in a network for today’s global enterprise. The quality of network connectivity is critical for Salesforce performance and business execution. Global enterprises with a single hosted SFDC data center need fast and reliable access, regardless of geography. 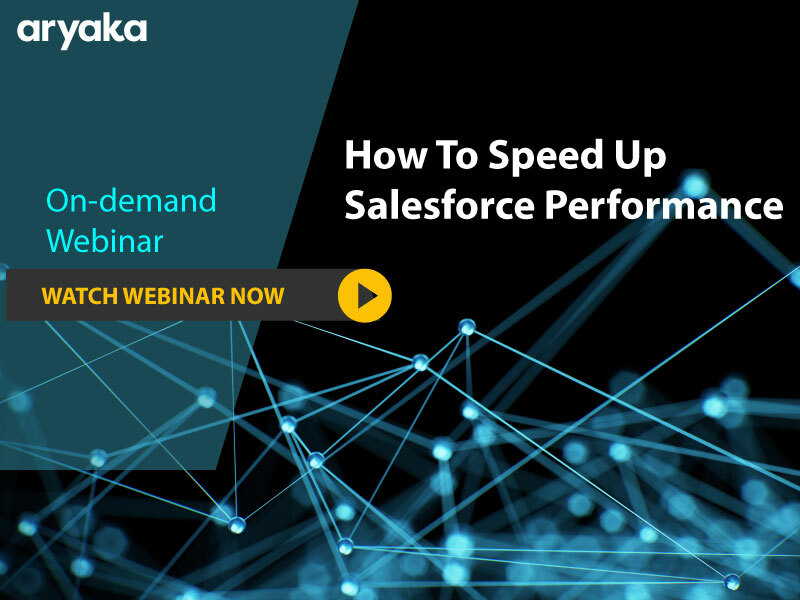 In this webinar, you will learn how to optimize Salesforce application performance to significantly improve business execution, employee productivity, and customer satisfaction. 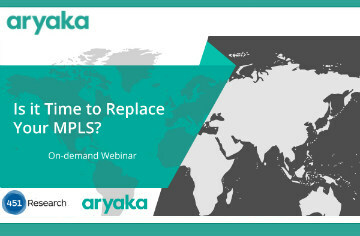 This webinar covers how one global manufacturing company got rid of MPLS and transformed their network with a global SD-WAN. 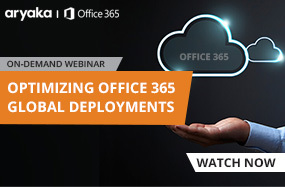 You will learn how replacing MPLS with a global SD-WAN can gain more reliable connectivity and accelerated performance to cloud services and SaaS-based applications, including Office 365, Salesforce, and ERP software. 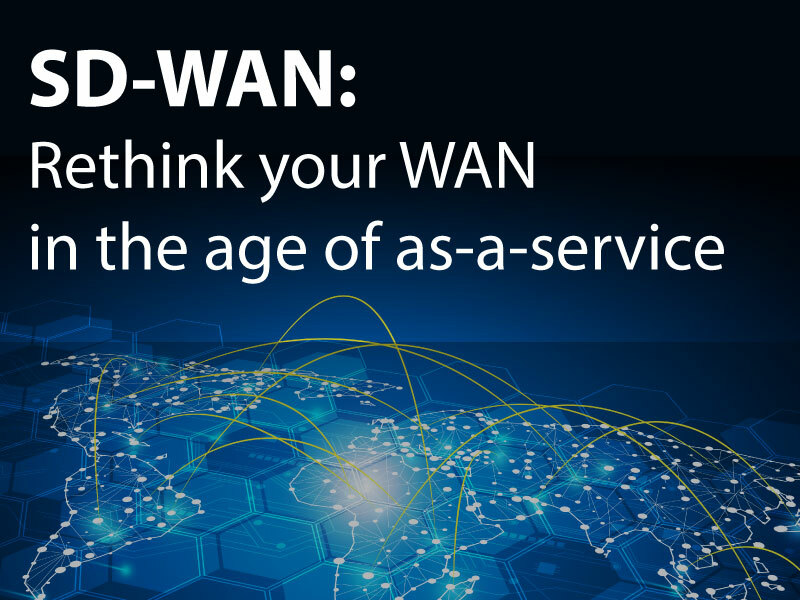 SD-WAN has become the rage in modern networking, but there’s been some confusion about what it can do, since many different vendors claim to provide the service. 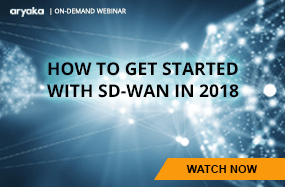 This webinar will go over the solutions SD-WAN was built for and how to identify the right approach to this technology for your business.